A Canadian woman who used the same lottery numbers for close to 30 years has won a CA$5.3 million jackpot. 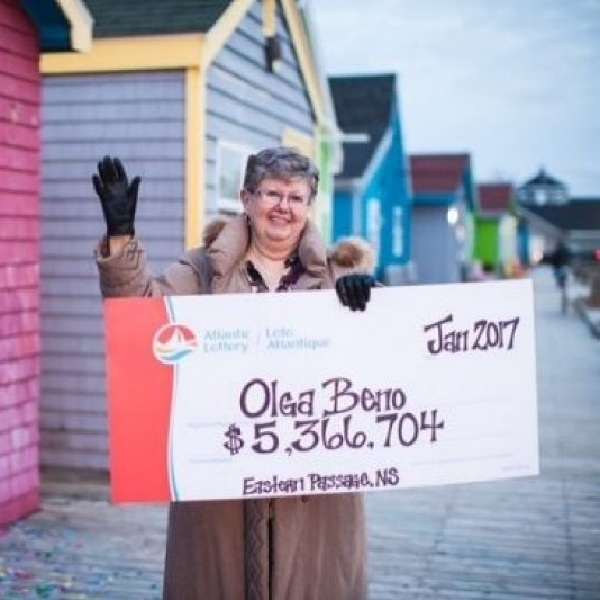 Olga Beno, from Eastern Passage, Nova Scotia, said that she dreamt of the numbers in May 1989 and has been using them ever since. The win is a huge relief for the woman who has been suffering from cancer and had to sell her home to pay for the treatment. She now hopes to build an easy-access ranch-style home with the winnings. Upon learning of her win she first thought it was a mistake in the newspaper. She was one of two people to win the jackpot from the draw at the end of last month. In addition to building a new home she also wants to take her husband, children and grandchildren to Disney World.